Super Savings Item! 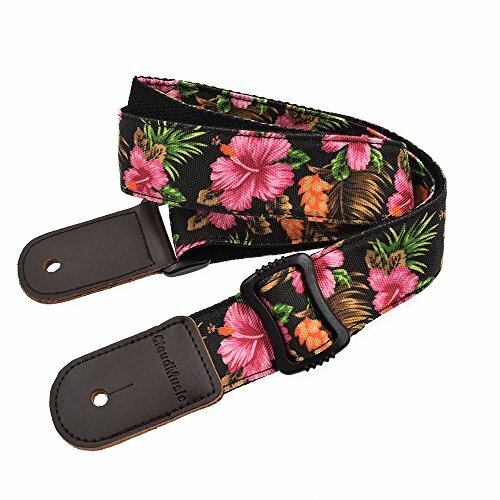 Save 36% on the CLOUDMUSIC Ukulele Strap Hawaiian Hibiscus Roses Floral Strap For Soprano Concert Tenor Baritone (Hibiscus In Black) by CLOUDMUSIC at Tritone Guitars. MPN: CM-S76. Hurry! Limited time offer. Offer valid only while supplies last. Beautiful Hawaiian hibiscus provides pleasant feeling while playing ukulele. If you have any questions about this product by CLOUDMUSIC, contact us by completing and submitting the form below. If you are looking for a specif part number, please include it with your message.